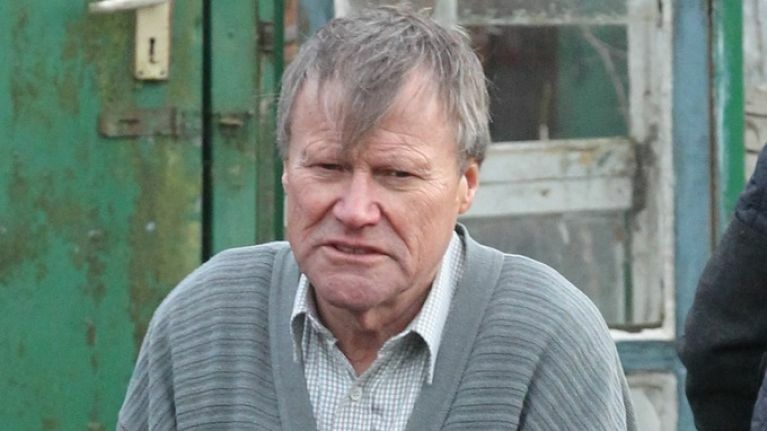 It looks like Coronation Street's Roy Cropper may be about to find out a massive family secret his mum had kept from him - at least, according to fans. The Corrie fan favourite was recently left devastated when he found out that his mum, Sylvia, had died. While they never saw eye-to-eye, the pair ended up falling out when Sylvia left Weatherfield after Hayley's cancer diagnosis - and Roy was never really able to forgive her for leaving at such a tough time. Now, though, Coronation Street fans reckon Sylvia had been keeping a secret from Roy: a long-lost sister. In scenes that aired on Friday night, Roy - who had been left Sylvia's belongings - got a ring polished and cleaned up. And when Chesney examined it a bit more closely, he pointed out the engraving on the inside, which read: "R.P 01.03.59 Rhea." Following the episode, fans flooded Twitter with theories about what the engraving could mean - with many saying they reckoned it meant Roy had a secret sibling. Meanwhile, other fans pointed out that based off the date, Rhea has a milestone birthday coming up - and pointed out that it may pave the way for a family reunion in the next few weeks. Rhea has a 60th birthday coming up ?